Well Rolling Stone, you’ve done it again. Your feigned naiveté combined with your lack of journalistic integrity has propelled you onto the front page of other, legitimate news sources. In case you haven’t heard about it yet, Sean Penn, with the help of Mexican telenovela actress Kate del Castillo, interviewed the most notorious drug kingpin in recent history, Joaquín Guzmán Loera, better known as “El Chapo” (or Shorty). El Chapo had wanted to make a movie about his life, the motive behind his increased interactions with Penn and del Castillo. The article, published on January 9, isn’t the kind of hard-hitting reporting that asks tough questions of a man known for daring escapes and extreme violence. Rather, it reads as a puff piece in which both Sean Penn and El Chapo get to stroke their egos until they burst, spewing cocaine and money into the air. In fact, El Chapo and his team had veto power before Penn even began to down tequila with his newfound friend. And it didn’t help that Guzmán was arrested on January 8 — blowing the lid off of Penn’s piece. Until his arrest, Guzmán had been on the run since escaping from prison in July 2015. That was actually his second prison break. After rising through the rank-and-file of the cartels in the 1980s, Guzmán was eventually arrested in 1993. He spent eight years incarcerated before, in January 2001, he escaped — as the legend goes — hidden in a laundry cart. The more recent El Chapo jailbreak was much more daring — and inventive. On July 11, 2015, Guzmán broke out of Mexico’s maximum security prison, the Almoloya, on a motorcycle through a mile-long tunnel that went straight from his cell to a safe house. He went into hiding — and contacted Sean Penn. Sean Penn’s “interview” helped the authorities locate and capture El Chapo, as they used Penn’s whereabouts to track the drug lord, though Penn himself denies this. I guess the advice Penn got from Walter White on burner phones didn’t work out. At 4:30 a.m. on Friday, January 8, the Mexican marines stormed Guzmán’s hideout in the coastal city of Los Mochis, Sinaloa. While Guzmán initially escaped through the sewer, he was soon apprehended after hijacking a car. For this debacle, Sean Penn has been skewered across all forms of media. Even he regrets the fallout from the piece (well, at least that his purple prose didn’t start the conversation he really wanted). But the one thing that Penn glosses over in his masturbatory marvel is the most important thing of all: El Chapo’s reign over the Mexican cartels has cost lives. A lot of them. As someone who has been personally devastated by drug-related violence in Latin America, Penn’s musings on farts and dicks is not just shoddy journalism. It inflicts violence by silencing the real cost of El Chapo’s actions. In 2006, Mexico’s then president Felipe Calderón declared war on the drug cartels that for 20 years had dominated the Mexican economy, its politics, and everyday life. In the 1980s, the cartels in Mexico began working with their Colombian counterparts by transporting Colombian cocaine into the United States. Soon, the Mexican cartels expanded from marijuana to the distribution of cocaine, methamphetamines, and heroin.1 Between 2006 — when Calderón took office — and 2011, an estimated 35,000 were killed in Mexico’s Drug War.2 Some reporters now cite those numbers as 70,000. Most of these deaths have been “cartel-on-cartel” homicides.3 But while cartel violence used to have a limited “geography of violence,” targeting people closely related to the drug-trade, in recent years it has expanded its violent reach by singling out government officials and ordinary citizens.4 When Enrique Peña Nieto became president in 2012, he changed course from Calderón by pledging to work on reducing violence in Mexico. Yet the violence continues. For example, on the evening of September 26, 2014, a bus carrying a group of male Mexican students was ambushed when the local police force opened fire. Two students were killed in the initial gunfire and 44 more disappeared. Several dozen managed to get away. Days later, one of the 44 boys was found. 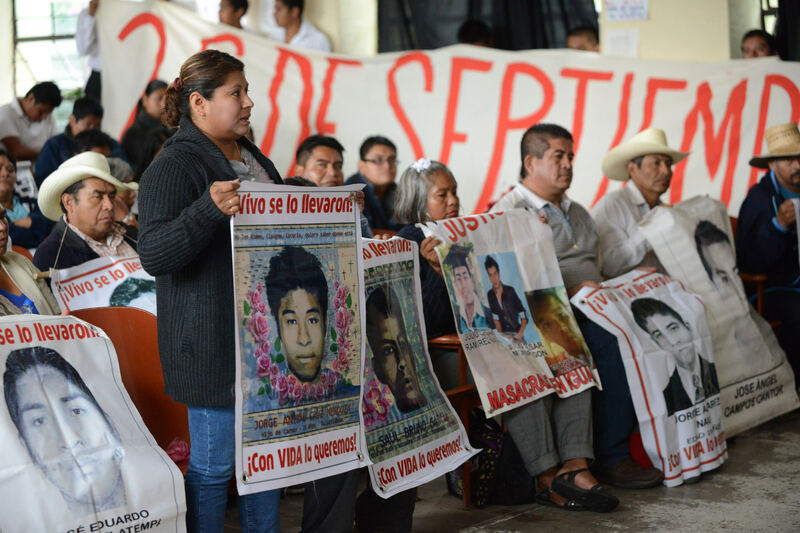 As Alma Guillermoprieto reports, “His eyes had been gouged out, the skin had been removed from his face, and then he had been killed.” The other 43 remain “missing,” although the arrests of top drug gang leaders and their subsequent confessions have demonstrated that all are dead in mass executions. The young men were students at a teacher’s college that serves the poorest students from rural Mexico. While the motives of the police’s actions are being debated, one thing is clear: the students died as a result of the intersection of local government corruption with rival drug-gang violence. Or take Gisela Mota, the first female mayor of Temixco, Morelos, who was gunned down just days after assuming her post. In the early morning of January 2, 2016, masked gunman entered Mota’s home and executed her in front of her family. Mota’s death is seen as a response to her proposed efforts to root out corruption in the local police — corruption that helps cartels and smaller gangs continue their violence unabated. Although these massacres and murders are not directly related to El Chapo, they demonstrate the widespread nature of drug violence. Journalists who try to cover the drug war also face extreme danger. 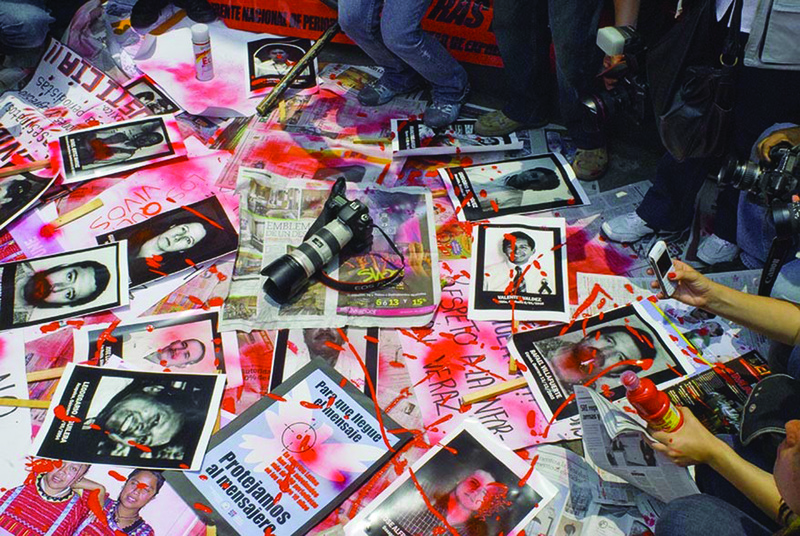 Since 2000, least 80 journalists have been killed across Mexico as a result of cartel maneuvering. Sean Penn’s “journalism” was a demonstration of how far fame, money, and white, male (American) privilege can go. The Mexican government has changed its earlier position against extradition and is now working with the U.S. to try Guzmán in American courts. 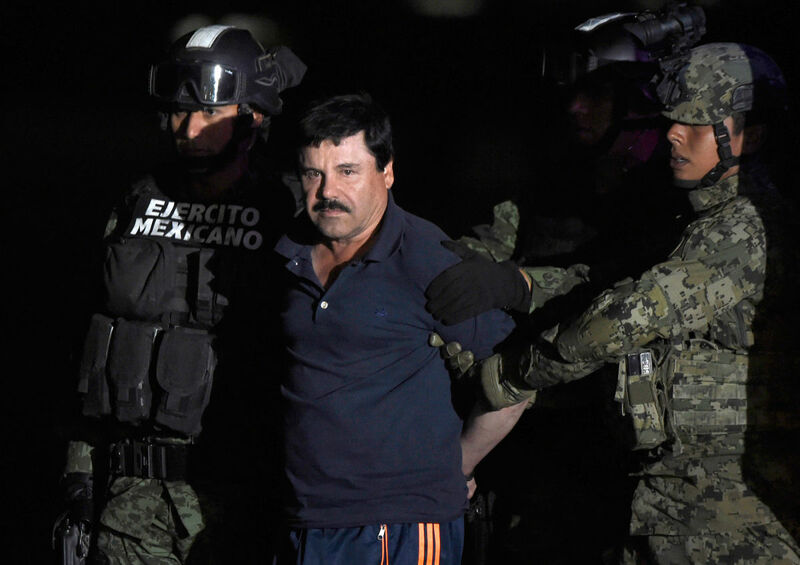 Extraditing El Chapo will not stop drug trafficking or drug-related violence. We also have to battle the problem from the side of social inequality. El Chapo remarked in his interview that he grew up in such extreme poverty that the drug trade was the only real way to make money. And he was no stranger to military-led violence that wreaked havoc on Mexican communities. I am not excusing his heinous actions — poverty does not a homicidal maniac make. However, better education, healthcare, and economic opportunities could help combat this major societal problem. And we must think about American consumption as well (something Penn does emphasize). Our seemingly endless thirst for drugs here is also shaped by inequality. Maybe Sean Penn can work his brume-enhanced magic to draw attention to the complex question of Latin American drugs, American consumption, and the poverty and inequality that fuels it from both sides. Bowden, Mark. Killing Pablo: The Hunt for the World’s Greatest Outlaw. New York: Atlantic Monthly Press, 2001. Campbell, Howard. “Narco-Propaganda in the Mexican ‘Drug War’: An Anthropological Perspective.” Latin American Perspectives 41, no. 2 (2014): 60-77. Joseph, Gilbert M. and Jürgen Buchenau. Mexico’s Once and Future Revolution: Social Upheaval and the Challenge of Rule since the Late Nineteenth Century. Durham: Duke University Press, 2013. Robert C. Bonner, “The Cartel Crackdown: Winning the Drug War and Rebuilding Mexico in the Process,” Foreign Affairs 91, no. 3 (2012): 13. Return to text. David A. Shirk, The Drug War in Mexico: Confronting a Shared Threat (New York: Council on Foreign Relations, 2011), 3. Return to text. Bonner, “The Cartel Crackdown,” 12. Return to text. Shirk, The Drug War in Mexico, 3. Return to text.